additional information about that specific Thai picture. 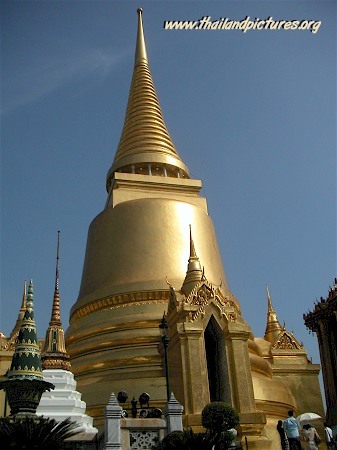 A golden Thai temple with gold towers and white elephants. with many high towers, guards, elephants and Buddha statues. The Royal Grand Palace, Bangkok, Thailand. A silver tower and temple roof. many big statues can be found. 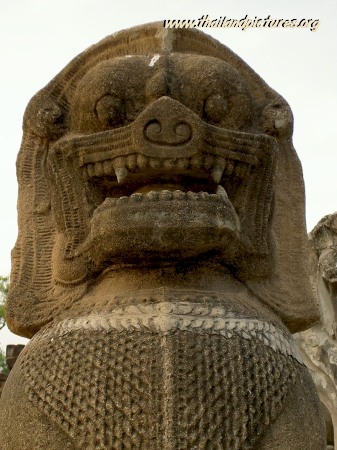 Head of a Khmer Rouge lion statue. by the Khmer Rouge regime who had more then one basis in Thailand. 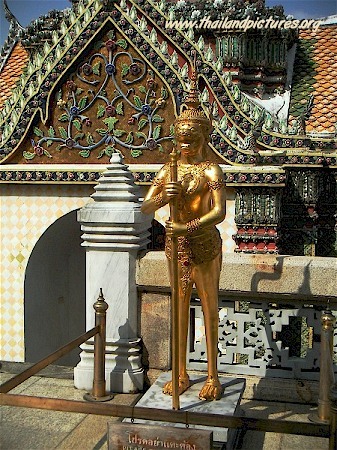 A golden guard located at the Royal Grand Palace. Thai artist Chalermchai Kositpipat, that has been made by him. maybe one day subject for restoration. 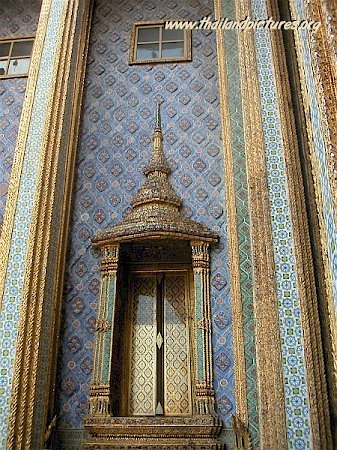 Grand Palace, in Bangkok, Thailand. 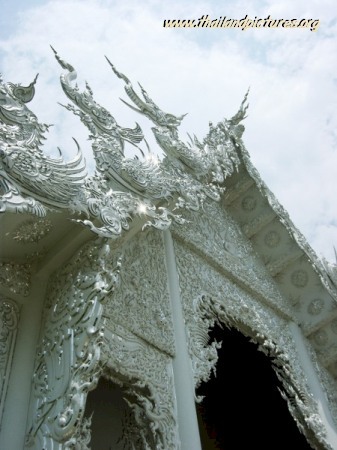 A temple in Thailand under construction. influence caused by the sour rain. 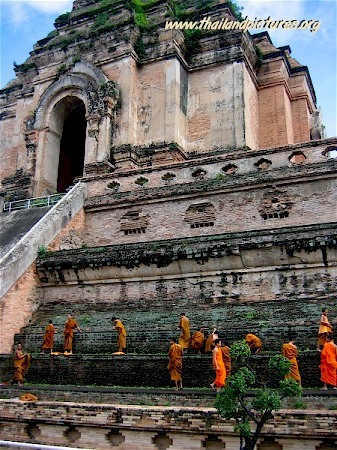 Thai monks at one of the temples in Thailand. 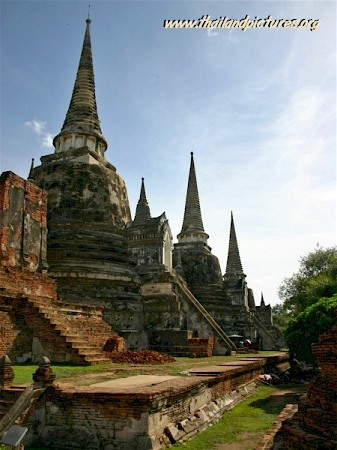 Chedi Luang in Chiang Mai, Thailand. A statue which carries a golden temple. carriers of the golden temple. Statue from a guard in front of a temple. 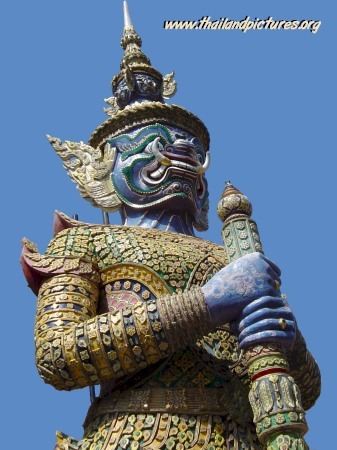 One of the many guard statues, all very nice decorated. 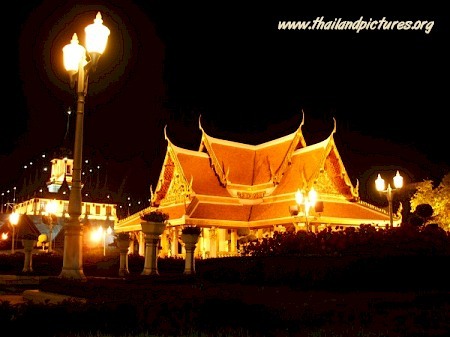 A picture from a temple in Thailand taken at night. 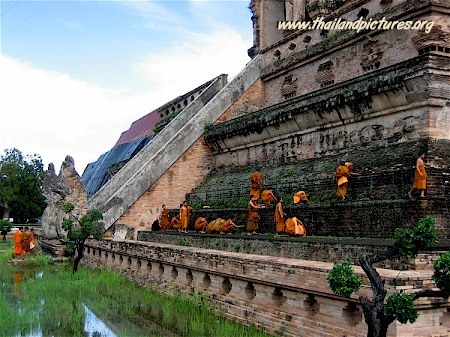 Thai Monks clearing weeds from the ancient temple Wat Phra That Chedi Luang in Chiang Mai. 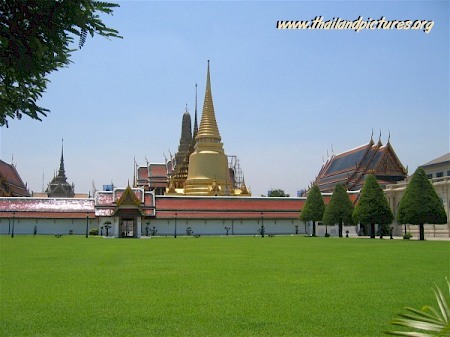 Royal Grand Palace in Bangkok, Thailand because of the typical golden tower. A Buddha wall painting at a temple wall. 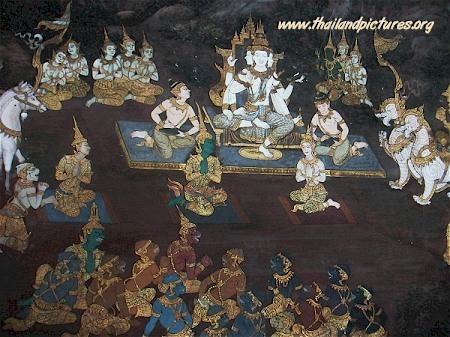 Buddha paintings like these show much of the Thai culture and religion. 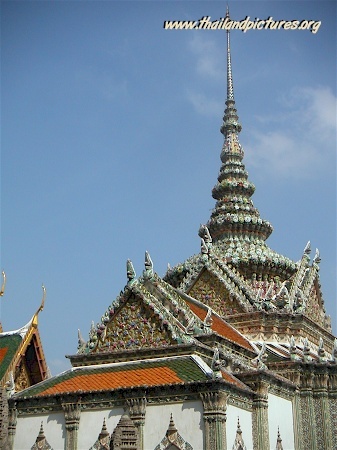 A picture of statues and temples at the Grand Palace. 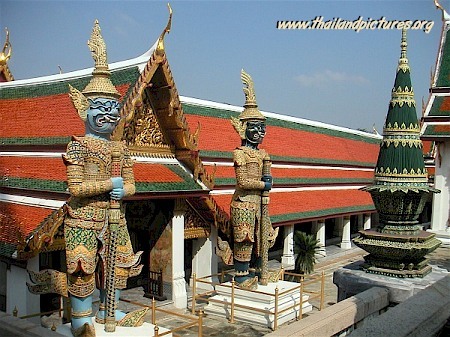 Two guard statues guarding one of the entrances from a Grand Palace Temple in Bangkok. 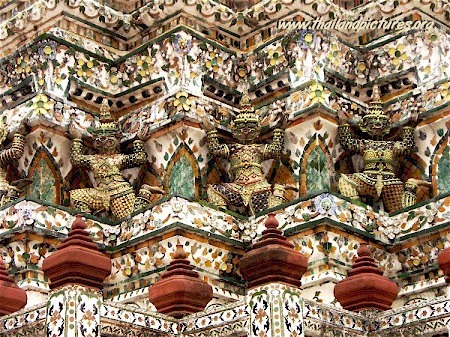 Many statues on the side of a Thai temple. 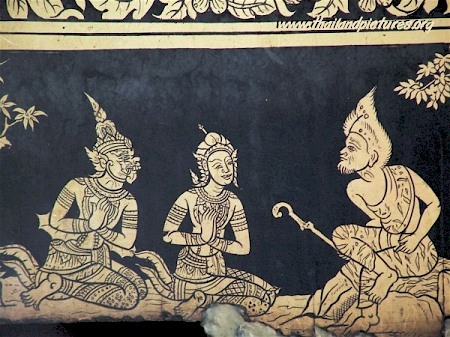 This is a Buddha painting from a Royal Grand Palace wall. 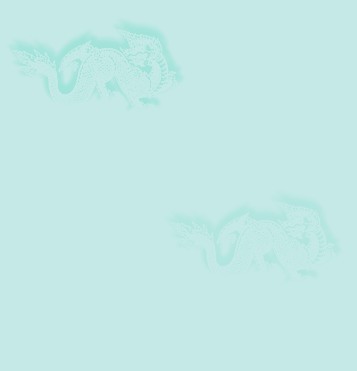 be found on the walls. 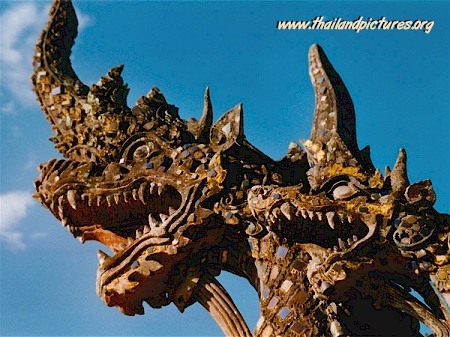 A stone dragon in Thailand. statues can be found near temples. 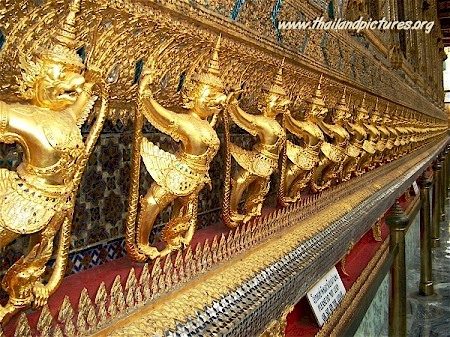 A picture from golden guards at the Royal Grand Palace. 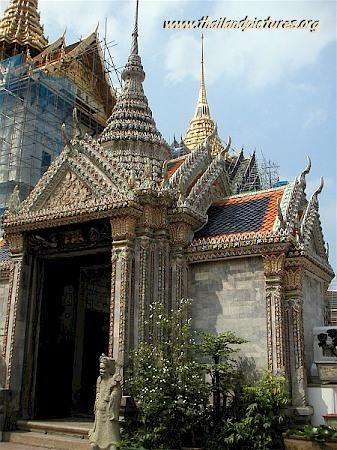 This temple is also located between the walls of the Royal Grand Palace in Bangkok. 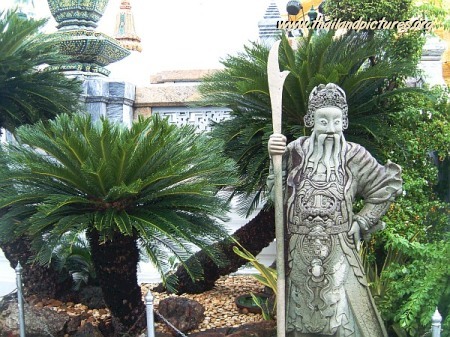 When only seeing this image it could be a Chinese guard, but it's Thailand. because of it's rich culture and the many Buddhist temples which can be found nationwide. The Thai word for temple is "Wat" and for this reason most temple names are starting with this word. 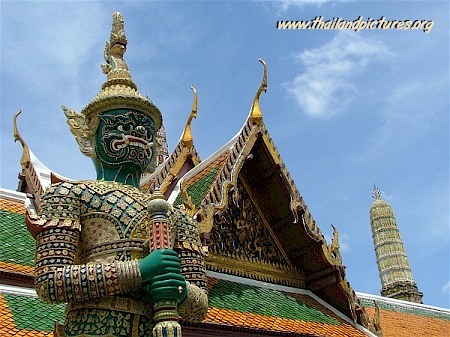 A Thai culture and history trip mostly starts in Bangkok, the city that never sleeps. 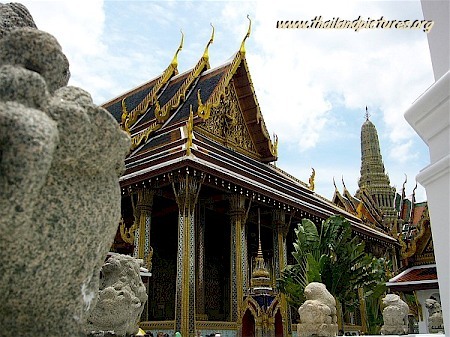 A visit to the Royal Grand Palace in Bangkok is something what most tourists never will forget as the Royal Grand Palace is very impressive with all his golden buildings, guards and Buddha statues. Besides Bangkok there are many other places to be visited and names like Koh Samui, Pattaya or Phuket are well known and a popular tourist destination depending on what kind of vacation you want to have. 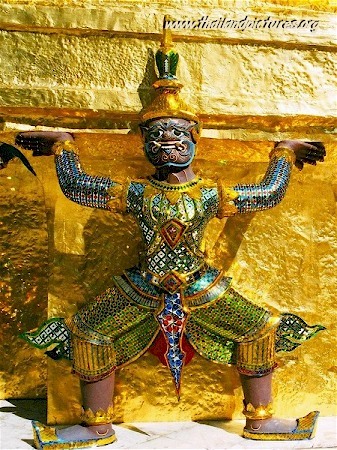 For Thai culture lovers, a visit to Chiang Mai, which is the largest and most culturally significant city located in Northern Thailand, is a must. 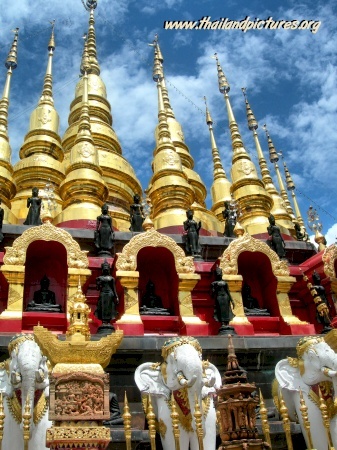 The Wat Chiang Man, the oldest Buddhist temple in Chiang Mai and the Chedi at Doi Suthep, just outside the city, are just some of the many popular Thai tourist places to see.